What would I do with $50k in Quito? “So, where’s your favorite place – to live – in Ecuador?” My new friend asked. Well, it’s by far the most “cosmopoliton” place in Ecuador. Also, the city has a truly unique backdrop of towering, Andes mountains on all sides, and Bohemia and Old Town districts that could keep you busy exploring for weeks. The locals are hip, cultured and educated, treat foreigners warmly and know how to have a good time. 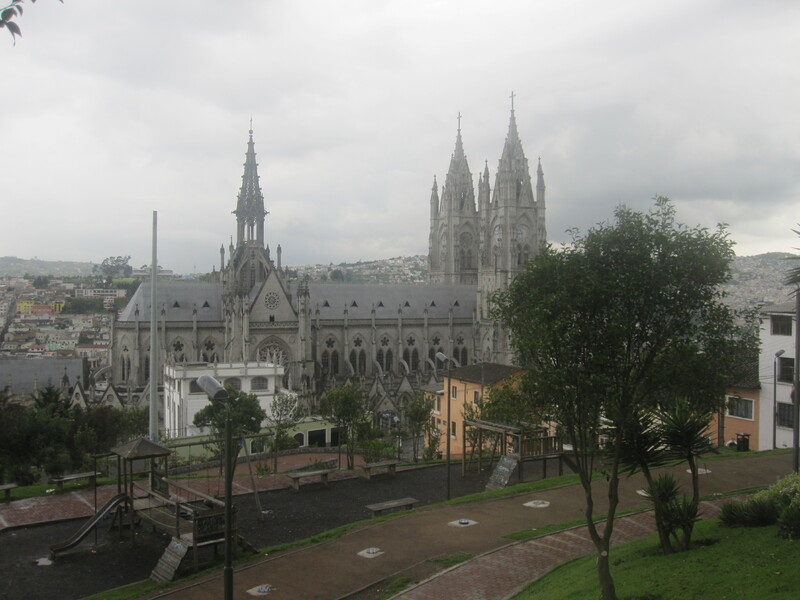 Some of my best friends are in Quito, so maybe that has a lot to do with it. People ALWAYS make the place. Heck, I remember my first day in Ecuador my Ecuadorian friend, who I had met while living in Spain the year before, picked me up from the airport and immediately wisked me away to a spot in La Vicentina where about 10 of his friends were watching a soccer match on TV. Ecuador won. A street party ensued, and man, I was already hooked on Ecuador! So what would I do with $50k in Quito, right now in 2012? Well, its a lot different than what I would have done 2 years ago. 2 years ago, I would have bought a 1 bedroom suite in the Carolina Park area for around $30k like my friend did. Over the last 2 years prices have gone up quite a bit in this central part of Quito, near where everyone wants to be. Now a days, it’s hard to find a nice suite near Carolina for under $50k, but if you’re patient you can probably find something in the $40s or if you’re willing to go out a bit to the north or south of the city, you can still find livable 1 and 2 bedroom apartments starting around $30k. Right now, in 2012, with $50k in hand, I’d still probably consider The Carolina Park area, around the posh Republica del Salvador Avenue, but I’d buy an office space. For one, suites along or near this avenue in the posh Quicentro area are now starting around $60k, so $50k might not cut it. But also, because I can rent the office in this area quick, the demand is high, and I could get about double the rent per square meter than I could renting an unfurnished apartment in the area. For instance, a 50m2 office in this area, where everyone wants to be, rents around $500-700 per month. I don’t have to furnish the place, the business that rents from me will take care of that. And I can still find nice, almost new 50m2 offices in the area for around or slightly under $50k. Now, if I had more skrill to work with, say, $200-250k my strategy would change completely and I would most surely take advantage of one of the many opportunities that are arising with the opening of the new international airport in the north of Quito. Warehouses. Storage spaces for importers and exporters who do routine business through the airport. It can be big money, if done right, I know of a 500m2 one that rents for $3000 a month.